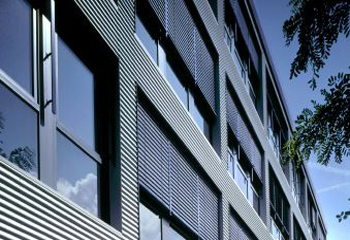 The Astralux 8000 External Venetian Blind Systems are designed for use in commercial environments where ease of operation, low maintenance and durability are required. 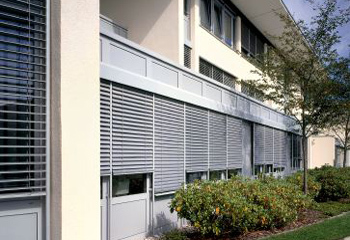 This external solar shading system consists of a range of options to cope with most window and curtain walling types. Slats are made using a high quality stove-enamelled finish. Given the location of these solar shading devices they are typically operated by 240v electric motors which are fully contained in the headrail of the blind. Manual operation is also available. External blinds are typically better at reducing unwanted heat gain than internal solar shading.